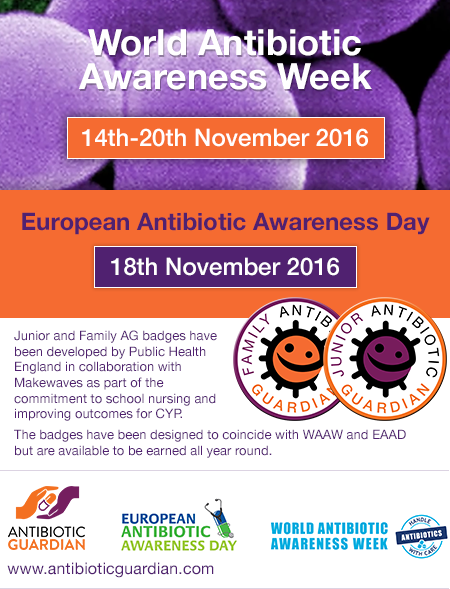 An opportunity for children, young persons and their families to become Antibiotic Guardians. Junior and Family Antibiotic Guardian have been developed in collaboration with Makewaves, for children, young people and their families/carers to complete tasks and earn badges. This is as part of the commitment to school nursing and improving outcomes for children and young persons (CYP).